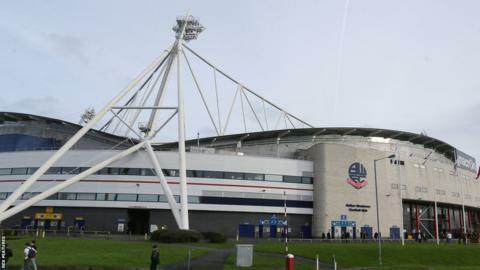 Bolton Wanderers could make a decision on new ownership before Saturday's home game against Queens Park Rangers, BBC Radio Manchester understands. It is understood that three parties are interested in buying Wanderers from current owner Eddie Davies. Banker Roger Tamraz, Bolton Wanderers Supporters Trust and a consortium led by Dean Holdsworth are in the running. The Championship club are scheduled to appear in the High Court on Monday over an unpaid tax bill of around £3m. Bolton could face the threat of a winding-up order from Revenue & Customs if they fail to pay their tax bill, but avoided an immediate order in January before their case was adjourned until 22 February. The Trotters are £172.9m in debt and currently under a transfer embargo for breaching Financial Fair Play rules.